September was an amazing month for Golden Tracks and we are very excited to share the following updates! with you! First off, we are now at the halfway point of our campaign and have 27 days to still reach our goal! We were recently very inspired to create a brand new concept video after returning from the Arizona desert. We spent two amazing days in the presence of Tony Redhouse, Navajo musician and spiritual healer who shared his story and the work he does with women recovering from substance abuse. Please be sure to click on the main video link to check it out! 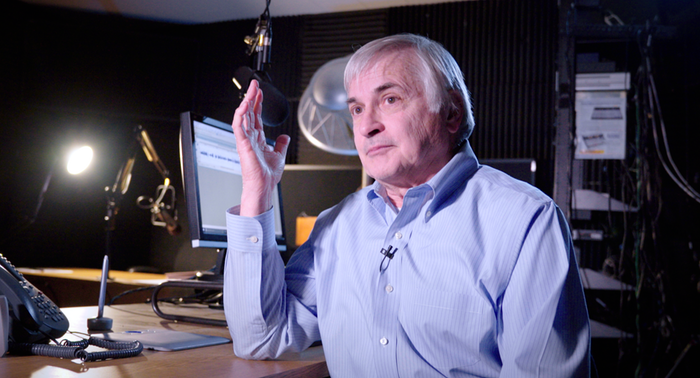 At the SETI Institute in Mountain View, California, our interview with Senior Astronomer Seth Shostak marked a significant step in our understanding of the mysteries of the cosmos and Voyager’s survival in deep space. On September 28 in Pasadena, CALTech held a panel discussion for the 40th anniversary of Voyager's Golden Record, including the participation of Voyager Project scientist Ed Stone, Creative Director of the Voyager Interstellar message Ann Druyan, Producer of the film ‘Interstellar’ Lynda Obst, Co-producer of the first vinyl release of the Golden Record David Pescovitz, and artist Reggie Watts. This event brought us a step closer to realizing our dream of tracking the music of the Golden Record. We have some very exciting news to share with you all very soon. And finally, across the globe in the East, Marina has connected with JAXA, Japan’s Aerospace Exploration Agency and has some exciting meetings set up for the following months. We want to conclude by officially releasing the musical segment we filmed with Bulgarian-American folk ensemble Blato Zlato in New Orleans this summer. Here they are performing a beautiful and original rendition of “Izlel E Delyo Haydutin,” the Bulgarian folk song originally recorded by Valya Balkanska and currently floating through interstellar space aboard the Voyager spacecraft. This summer, we interviewed Valya Balkanska herself and she showed tremendous enthusiasm for our project. We cannot wait to return to the Rhodope Mountains and continue filming with one of Bulgaria’s greatest national treasures.